Mickey was a special cat that came to live with us from Petsmart Humane Society of the Lakes. We were looking to add to our family and his name was Creek but we were off to California for a business trip turned fun trip for our daughter since we were just a few blocks from Disneyland. Maggie changed his name to Mickey since he has a cute black nose and two black ears! Lol Mickey has now lived with us a whole year. Fast Forward to the winter that never ends and we are coming upon Mickey 1st yr anniversary with us! We call it his birthday and he will be two! Mickey has been such an exciting cat to have except for the long winter which he does not like at all! He tries every day to go outside and meows at the patio every day; I think he is wishing it warm so he can go hunting. I know Lyle is so excited to be wearing his Halloween Bandana just in time for the first day of Autumn! He always looks so handsome! 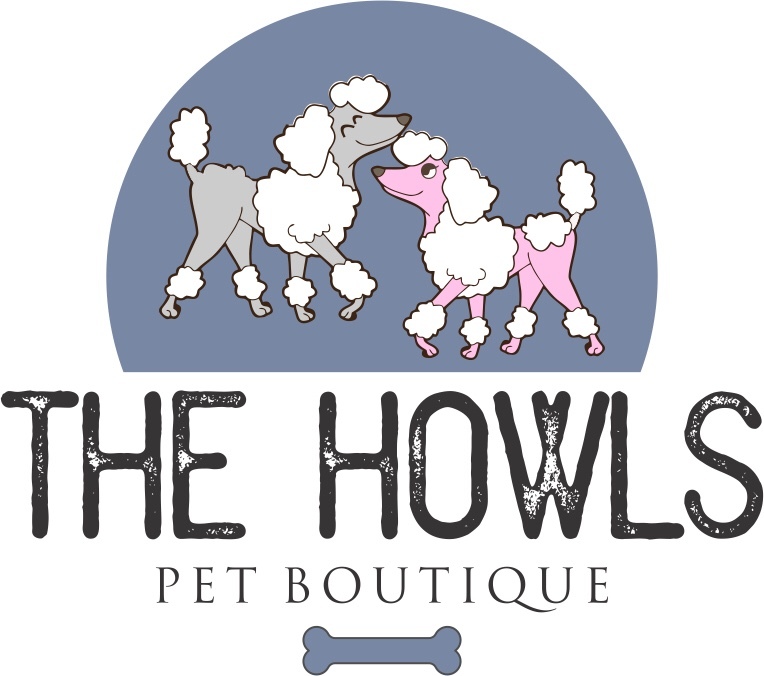 The name Howls came about from my two poodles that I have had. One poodle Foxy I have had since November 2001 till November 2017. She was an independent girl with a incredible grace and beauty. She didn’t like to make friends or play with other dogs; however would play with Scooby her friend she loved and cared about until his death in 2016. Around the farm she like to smell and look over and bark at creatures; she was very aware of her surroundings and would run to me when trucks and tractors came in the yard. She even would bark at me when she thought I was a lousy mother to Marcus when he was young and getting into trouble on the farm. She actually did save him and alerted me several times with her barking that trucks where driving in and to find Marcus when he was off in a building, or crawling under daddy’s semi trailer, or even driving his little gator to far from mom’s view. She was my little princess since I could dress her up in little girl dog outfits and she would be cute and cozy for our cold weather. She never wondered about in the cold…she would do her business as close as she could to the door as fast as she could! Ha Then let me in she would look and shake her little body pleading to come in. So I never started the name Howls till along came Lyle. Lyle was my moms dog first; she tragically passed away to her conditions caused by her cancer that she had for eighteen months. Lyle was about six months old when we found an ad in the paper for him. It was a perfect fit for him and my mom! She loved and devoted her time to him since she was not able to move much and Lyle was an exceptional puppy that loved my mom back and laid with her every moment he could. If she felt good she played with him, if not they napped. We as a family felt Lyle had a special bond with my mom when she was in pain or needed something he would bark before she needed it as if he read her mind. It was so strange. He was even there when she past away, he cried with me as she was taken out of the house. Three years later he was not happy living with my dad not getting that attention and love that he had before with her. He loved my daughter and I and I would care for his hair and vet appointments and we took him home. The dynamic that was between Lyle and Foxy was they didn’t like each other that much to begin with. Foxy wanted to be in charge which she was at six pounds she was in charge of the whole household. We adopted a farm dog too named Shadow and he is a Lab Chow mix. He was only a year old and full of fun and excitement that I don’t ever remember Lyle or Foxy having. Lol So the name The Howls began from the puppy excitement of Shadow and the stark contrast of the two poodles with their eccentric tastes. It sooo reminded me of Gilligan’s Island with Thurstant Howel III and Lovey Howel and of course Shadow was Gilligan. I would send pictures of my Howel’s to my family about their adventures of the day. Such as the picture above I can still see them shivering out in the cold wearing their Dapper Outfit. I hope you will share with me stories of your pets! After all what better way to get to know someone then through their furbabies!